Why We Love It - Highly recommended Experience! Get up close and personal with the rich reef-life of the Makena area. For a more romantic experience choose the private tour. 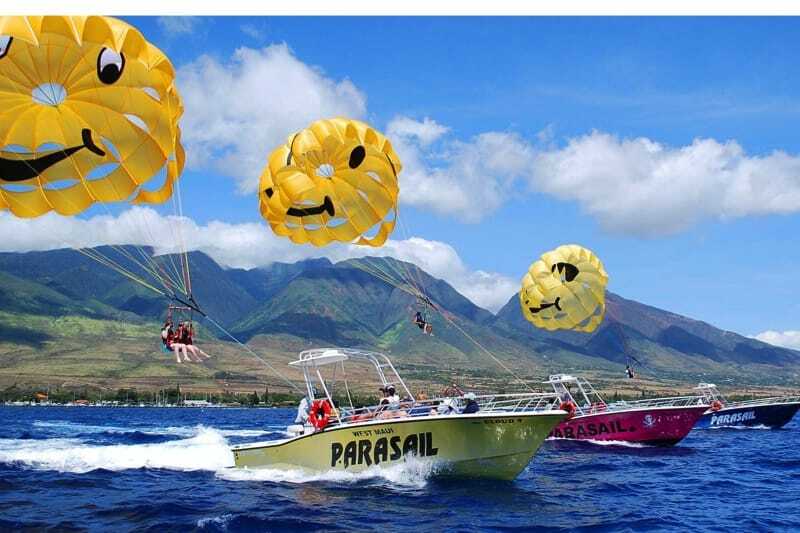 Enjoy the clear waters of Maui featuring breathtaking scenery, exotic reef, and marine life! Seeing whales during the winter, turtles throughout the year and the occasional dolphin sighting makes this snorkeling adventure a favorite among guests. Take advantage of our years of experience - we'll take you to the calmest waters where you'll see abundant marine life. This tour includes a maritime naturalist guide and all your snorkeling gear. You will enjoy an educationally oriented, eco-friendly kayak tour focused on ocean ecology, sea life, and unique Hawaiian culture in the tranquil Makena landscape. Makena offers clear and calm waters, guaranteed turtle sightings and exquisite views. Makena is tucked into the leeward side of Haleakala, which typically blocks the trade winds, providing an ideal snorkeling option for beginners and professionals alike. Makena is located on the Southern shore of Maui, on some of the island's only accessible raw untouched coastline. Come and explore the area with us! This four-hour outing is for people who would like to get more snorkeling and paddling in Turtle Town. You will experience the beautiful shores of Makena with two snorkeling destinations, amongst green sea turtles and sometimes even dolphins. It is ideal for people who want to spend more time in the water. If you want to paddle vigorously or perhaps you've acclimated to island life and prefer to cruise, this private tour lets you go at your own pace. Your guide can show you secluded spots where you'll be on your own or for the adventurous types, explore the nooks and crannies of the Makena shoreline. The choice is yours! We have a 24 hour cancellation policy that means you have until 24 hours before the start of the trip to cancel or move your tour. If you simply don't show up and don't call we will have to charge your credit card at that point. We use two person sit on top kayaks that can accommodate 500lbs. Its a good idea to be a person who enjoys the idea of getting outside and exploring, you don?t have to be a mountain climber by any stretch, but we will get some exercise! What are the times of the kayak tours? All kayak tours have a 7:15 check in and are usually launching by 7:45. We typically stay on the water for around 2.5 hours so landing by about 10:15 for the Ocean Adventure, 10:30 for the Private Tour and about 11:15 for the Whale Watch Snorkel. Sometimes we launch early and find ourselves landing by 10, other times we launch late and don?t land until after 11:30, the point is we don?t have a set itinerary so everyday ends up being a little different. What do you do and see on your tours? We combine paddling and snorkeling on our kayak tours so that we paddle to a snorkeling spot, drop anchor, and snorkel from our kayaks, getting in and out of our boats from the water. We do not land during our tours, but don?t worry, as we like to say, getting in and out of the kayaks is more entertaining than challenging! Although we never guarantee anything, turtles are a huge part of our tours but also lots of fish and reef life! From December 15th through May 15th Maui?s waters become the North Pacific Marine Whale Sanctuary when we get thousands of humpbacks migrating for mating and birthing purposes. We run kayak whale watches typically from late December through mid April when we have the best chance to encounter them from our shores. We provide water and fresh cut Maui gold pineapple on all of our tours! We specialize in eco-friendly tourism and can recommend lots of great places to eat but we don?t handle food on the beach and do not have a certified kitchen to be able to do so. Just snacks for us! Is there a size limit to our kayaks? Kind of, but not too often. We use two person sit on top kayaks that can accommodate 500lbs. Its a good idea to be a person who enjoys the idea of getting outside and exploring, you don?t have to be a mountain climber by any stretch, but we will get some exercise! Pretty much everything except tax and gratuity. We include gear, refreshments, and a quality guide throughout the experience. Considering we offer completely weather dependent tours, we rarely have to cancel our trips. From time to time we have big waves or strong winds that force us to make some decisions. We have an honesty first policy though so we take the time to call guests before the trip if the weather is bad and talk options with them ranging from simply moving locations to rescheduling days. You should bring towels, sunglasses, water, sunscreens, long sleeve rash guards, hats, etc. In line with our Green Paddling Blue Water, we recommend using rash guards and hats and reusable water bottles when possible. We also carry a dry bag so you can bring phones, wallets, and keys as well. Please show up wearing swimsuits and water friendly shoes, flip flops are fine. Makena Kayak & Snorkel did a wonderful job taking us out and exploring the calm waters of Maui with us. Our guide Michelle was very knowledgeable and gave us great insight into the history of the area as well as lots of info about the variety of sea life we got to see. We got a quick land tutorial about how to safely get in and out of our kayaks and how to best maneuver them once on the water, and then it was out to the water. We saw sea turtles and tons of tropical fish. The backdrop is stunning. The south shore of Maui around Makena where you spend your few hours is absolutely gorgeous. It was an awesome trip. My wife and I booked with then because we read about how great they were and how they only take out small groups at a time. It was us and one other couple. Floating out there with the 5 of us in total really added to the magic and wonder of the experience. We saw other groups from other kayak and snorkel companies with 12-15 people and it just didn't seem as intimate. We cruised to a quite little cove where we did some great snorkeling and it literally felt like we were the only ones out there. Would definitely do it again and would highly recommend Makena Kayak & Snorkel if you are interested in a small group experience where you can kayak and snorkel in near privacy, which is hard to find in Maui. We had an amazing time kayaking and snorkeling around turtle town with our guide Michelle. This was the best water / snorkel adventure of our whole trip. The boats are fun but nothing can compare to kayaking above the water, seeing turtles pop up and feeling at one with the water and environment. Our guide was amazing, she dove down multiple times to point out all kinds of fish and octopus that frankly I would have missed if I went out alone. She also shared a lot of history about the surrounding islands and as well as Makena beach. Get an extra hour of more paddling and more water time with a second snorkeling location. Want a more vigorous or slower pace? Maybe a private tour is for you. Try our more loosely structured 3 hour tour catered to you.